This class will meet regularly on Mondays and Wednesdays from 9:30-10:45 am. The class will contain a mix of beginning and continuing students, and will take about 5 months to explore the moves of the set at a beginning level. Over a thousand years ago, Taoist monks in China developed a series of physical techniques to improve and maintain their health. 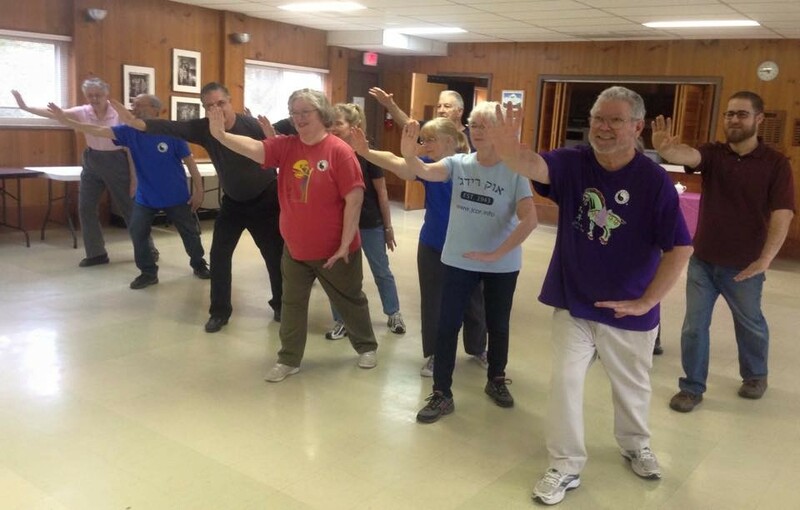 These time-tested internal arts are transmitted to students today in Tai Chi classes taught by instructors of the International Taoist Tai Chi Society, a charitable organization started in Canada by Master Moy Lin-Shin in 1970. The Tai Chi set consists of a series of 108 gentle flowing movements, which flex and strengthen joints, tendons, and muscles throughout the body. Recent Western medical studies have confirmed a variety of health benefits from the practice of Tai Chi, such as improved balance, reduced blood pressure, improved cardiac health, reduced swelling in arthritic joints, and improved mental health. Tai Chi is the only form of exercise that has been shown to prevent falls.